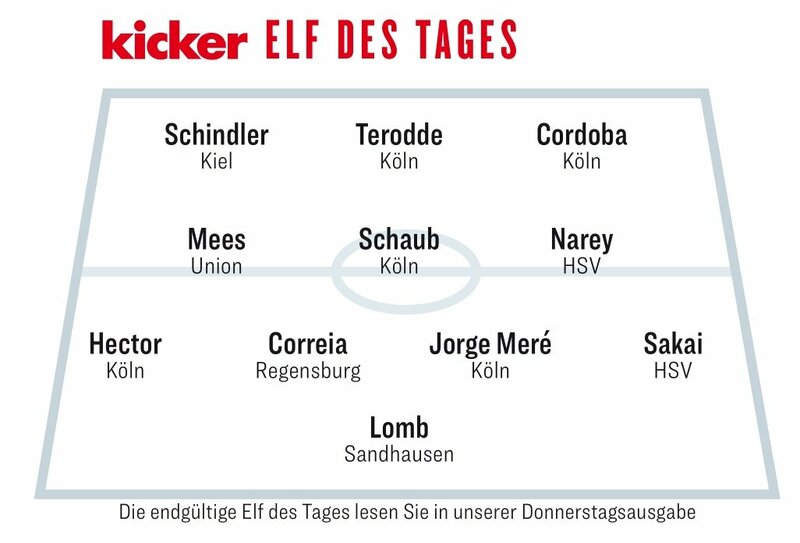 Here is the 2.Bundesliga’s team of the week for fixtures in Round 13 of the competition for the 2018/19 season. There were goals galore in this round- more than half the games produced four or more goals in this Game Week. There was only one goalless stalemate, and that was between Sandhausen and Duisburg, with both teams getting some breathing space from the drop zone after sharing the spoils. It also saw SVS goalkeeper Niklas Lomb earn a spot in goal in the Team of the Round. Not surprisingly, Koln’s 8:1 thrashing of Dynamo Dresden sees them dominate this TOTW- as many as five of the XI named here are from Effzeh. An important win for them following their previous round loss to Hamburg. It took poor Dresden’s goal difference into the negative, having conceded only 12 goals in their previous 12 games.